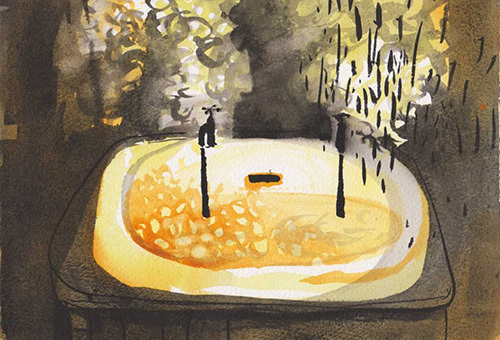 We exhibit, store, care for and loan paintings, prints, ceramics and sculpture from three art collections – The Bishop Otter Trust Art Collection, The University of Chichester Art Collection and The Charles Wollaston Collection. The first paintings were purchased shortly after the Second World War and from that time onwards original works of art have been displayed around the University campus for the benefit of students, staff and the wider community. If you would like to contact the University about the art collections please contact Janet Carter on j.carter@chi.ac.uk or call 01243 816087. The University of Chichester grew from a merger in 1977 of Bognor Regis and Bishop Otter Teacher Training Colleges – the latter taking its name from William Otter (1768-1840), who was appointed Bishop of Chichester in 1836 and today gives his name to this significant collection of twentieth century art. In the immediate aftermath of the Second World War, there was a movement to make art accessible outside of museums, so called ‘Art-for-All’. There was a particular push towards integrating art with education and it was against this cultural backdrop that The Bishop Otter Trust Art Collection was founded. In 1947, Eleanor Hipwell - Head of Art at Bishop Otter College - purchased three original works of art from a Pictures for Schools exhibition at the Victoria and Albert Museum. 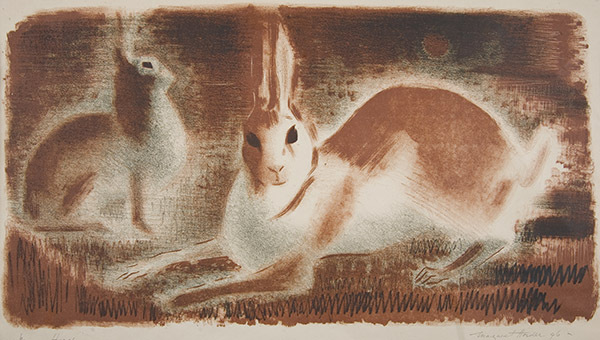 Using funds from her equipment budget, Hipwell purchased Hares by Margaret Horder, Desert Flower by Kathleen Moss and Figure Holding Autumn Leaves by Michael Rothenstein (1908 – 1993). Shortly after this, in 1948, K.M.Elisabeth ‘Betty’ Murray (1909–1998) was appointed Principal of Bishop Otter College and in 1949 Shelia McCririck (1916-2001) was appointed as the new Head of Art. 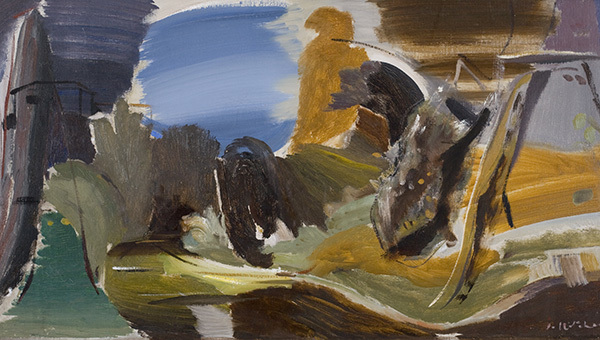 In January 1950, Autumn Stream by Ivon Hitchens (1893-1979), who lived in nearby Petworth, was acquired and as the first work in the Collection provoked much debate amongst staff and students. 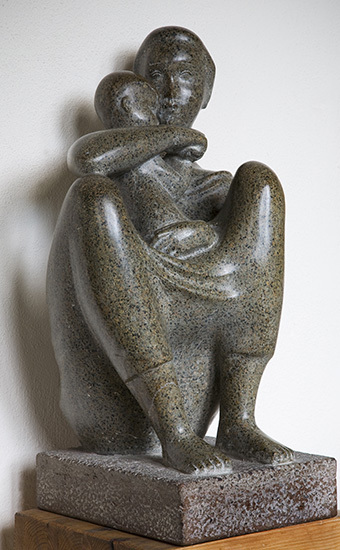 In 1952, Mother and Child by Willi Soukop (1907-1995) became the first sculpture to enter the Collection and today is on permanent display behind the altar in The Chapel on the Bishop Otter Campus. There was no particular budget for purchasing works of art but undaunted Shelia McCririck, with the support and tenacity of Betty Murray, began to source a mix of figurative and abstract pieces, some of which were purchased but more often were lent to the College for lengthy periods. Amongst early supporters were the artists William Gear (1915-1997) and John Craxton (1922-2009), often under the auspices of the Contemporary Art Society. 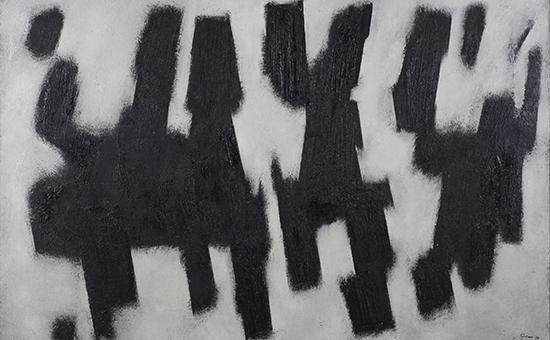 Gear, for instance, allowed his paintings White Feature and Black Figures to be acquired by the College at a low cost. 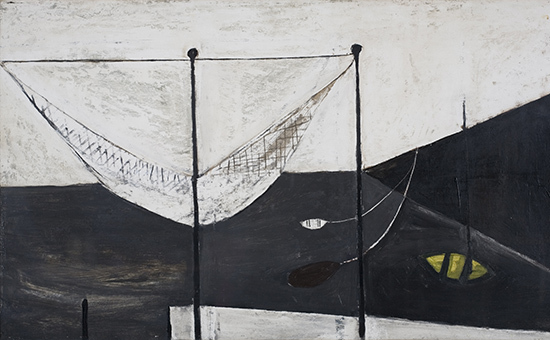 By various means, the Collection continued to grow and thanks to the insight of Shelia McCririck and Betty Murray today features work by some of the most important British artists of the twentieth century, such as Terry Frost (1915-2003), Patrick Heron (1920-1993), Peter Lanyon (1918-1964), William Scott (1913-1989) and Stanley Spencer (1891-1959). "I was a student at Bishop Otter College from 1968-1972, with Art as my main subject. At that time... the art works were displayed around the college and mainly in the oldest buildings. They were used as a learning resource and inspiration to the art students in particular. Students were sometimes asked to donate a particular painting to the collection at the end of their course. 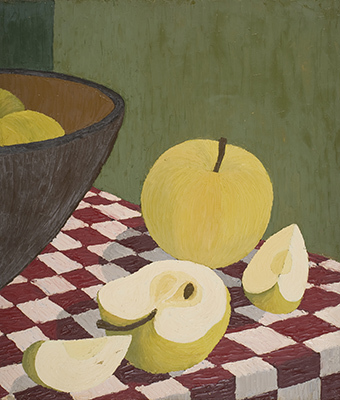 I was asked by Sheila McCririck and Sally Mather [Senior Lecturer in Art] to donate my painting ‘Apples’ at the end of my four years, which I was pleased to do." The amalgamation of Bishop Otter College with Bognor Regis College to form the West Sussex Institute of Higher Education in 1977 caused uncertainty about the Collection’s status and how best to protect its future. The solution was for the Collection to stay on the Bishop Otter College site and in the possession of Bishop Otter College and its Residual Trustees. In 1979 an Agreement was constituted between the Trustees of the Bishop Otter Trust and the Institute Trustees. In this the Bishop Otter Trustees undertook to loan the Collection to the Institute Trustees, together with what might be added ‘and to continue to display it in a manner designed to enhance quality of life at the College…’. 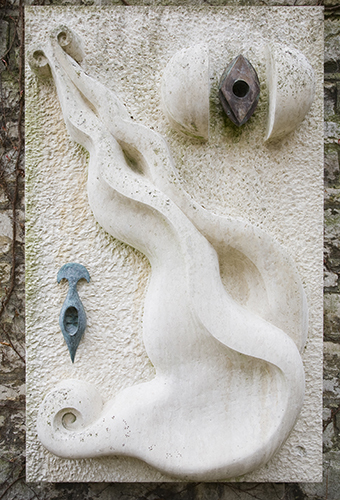 The University of Chichester Art collection has developed since the late 1970s through the acquistion of staff and student work, commissions and external gifts or donations. Over the years the University has been the recipient of a number of generous gifts and bequests, which have enabled our renowned art collections to evolve. New acquisitions are carefully selected with regard to the way in which they strengthen and develop the existing Collection. 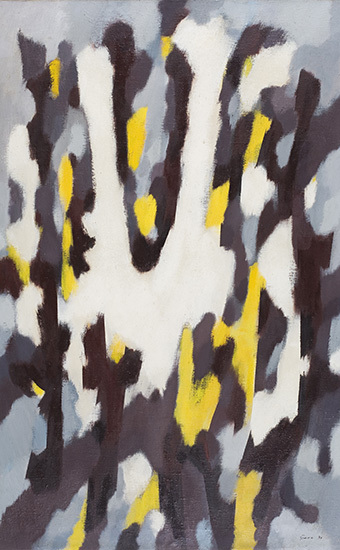 Many of the recent acquisitions are contemporary and by living artists, which adds a new dynamic to the Collection. Gifted, the current display in University House, is not only a gesture of thanks to our recent donors but importantly builds on the beliefs and vision held by Sheila McCririck and Betty Murray to exhibit original works of art around the University campus. In 1977, on his retirement after 27 years, Charles Wollaston (1914-1992) painter, printmaker, ceramicist and Head of Art at Bognor Regis College, bequeathed a collection of some 80 works of art, including his own, into the care of the College. In 1978 he established and endowed The Wollaston Award, which is presented annually to the most distinguished work in the Royal Academy Summer Exhibition. The majority of the Wollaston Collection is held at the Bognor Regis campus of the University of Chichester.